Ethereal Heaven or Industrial Hell? Need some tension or general creepiness in your sci-fi games? Planning a terror-fest with Rapture: The End of Days? 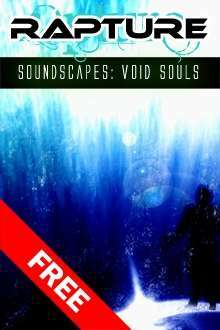 Then be quick and grab this set of Rapture Soundscapes. Void Souls gives you four moody, chilling tracks that offer majestic space scenes through to claustrophobic bio-weapons labs under lockdown. Not quite music, not quite noise, but an unholy genetic splicing of the two.